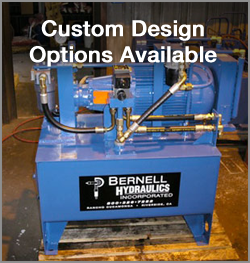 If you’re looking for hydraulic power units Colton CA, head to Bernell Hydraulics, southern California’s premier provider of hydraulic parts and service since 1977. In addition to selling new hydraulic power units, we can also service or repair your old power units. We can even create custom power units if you want. We invite you to stop by one of our locations to learn more about how we can help you with your power unit. If your hydraulic power unit isn’t performing like it should, you can turn to us for help. We offer 24 hour onsite repairs and service, so you can get the help you need right away. You can also ask for our dedicated onsite Hose Doctor service or maintenance services like fluid top offs or fluid flushes. We know how important your hydraulic power unit is to your livelihood and we’ll give it the professional attention it needs to stay in top shape.